I think this design themed furniture for kids is very beautiful. If you like the sea, yachts and want them to be part of your home design then furniture by Caroti could become an excellent choice for you. 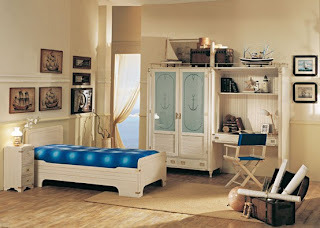 With its products you could create cool sea-themed rooms. There are great solutions for home office, living room and bedrooms. 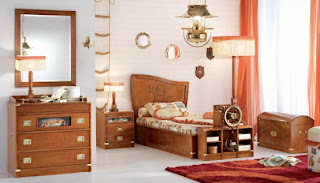 You could also make your kids very happy and change their room into charming world of pirates and brave captains. For kids there are available as single beds as ergonomic bunk beds. All of them are decorated by various sea-themed items. For example, you could find a great bed with integrated ship wheel on photos below.